The way we conduct real estate sales is set to change, not in ten years time, but right now, according to Allan McDonald, Director of innovative online sales and auction platform, Sale Ezy. “EAC members have always been privy to the best that technology for real estate has to offer. We are pleased to announce a new partnership between EAC and Sale Ezy, through which, our members can offer clients a powerful, streamlined online sales platform for their listings, with preferential pricing.” says EAC CEO, David Crombie. Initially released to select agents in 2007, Sale Ezy was the first operational online property auction system patented in Australia. With the market, consumer demand and expectations changing, Sale Ezy was re-developed over several years, and re-launched in late 2017, already facilitating successful sales to buyers interstate and throughout Asia and Europe. Sale Ezy extends the auction experience in a completely online space, giving buyers the opportunity to get in early and make a winning bid before the auction heats up, or to compete against the clock and other bidders in a countdown towards final call. 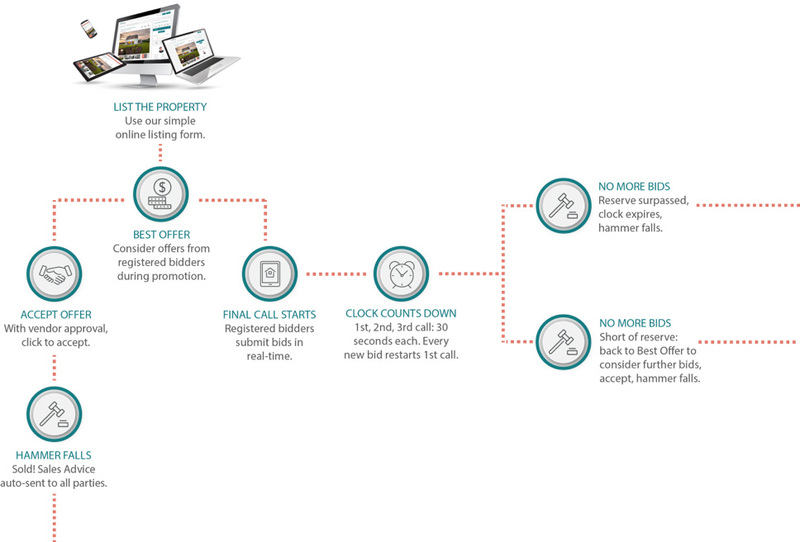 “Sale Ezy is designed to give agents a third selling option to offer clients a solution that meets all of those needs. Those agents who jump on board early will become the experts, giving their brand a real edge and ownership of a practice that is inevitable; those who don’t recognise the opportunity of online sales, risk being left behind.” says Director, Allan McDonald. For further information about Sale Ezy and how it can benefit agents, visit the Sale Ezy agent information page, email hello@saleezy.com.au or call 1300 662 013.